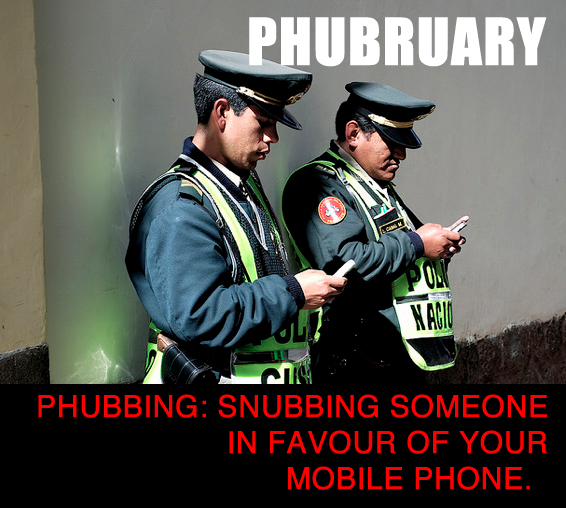 Join us in naming and shaming those who gave a phub in the month of FEB/OCT! 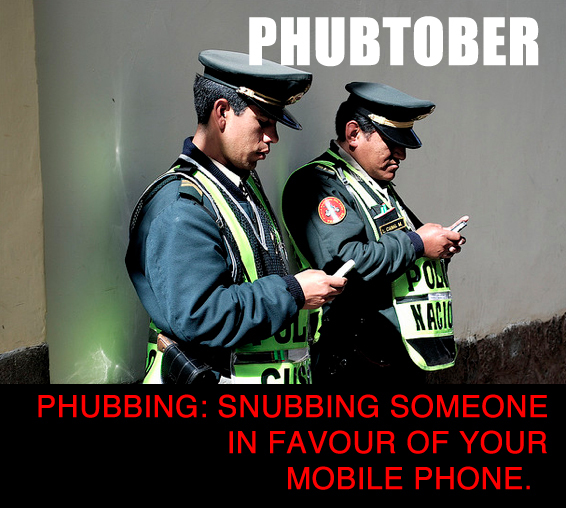 Be a Phuberator and snap a photo of someone phubbing and send it to us! Make the Phub Nation proud!